Jack has read 0 books toward his goal of 15 books. My wife had no idea where I was taking her for our anniversary. She was even more lost when I told her we were taking our bikes. I don’t think she had any idea until she seen the ferry boat landing. Then she turned to me and said, “I bet I know where we are heading?” Well, the ferry made it pretty easy at this point. But I didn’t tell her the final part of the surprise. She figured out the final part of the surprise when I asked her to grab the bag from the back seat. She looked over from the passenger side and asked. 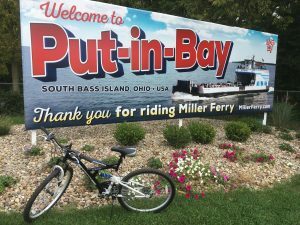 “Are we staying on the Island?” We didn’t do that on our first trip to Put-In-Bay. I said yes. Then I told her that is one reason for the bikes. The hotel asked me not to bring the car over because it gets crowded on the weekends. We parked the car in one of the extended lots and headed for the ferry. We could not have asked for a better weekend. The weather held up nicely and really the Island was not overcrowded because we found it was the end of the season. In our normal adventures when we go away we had to visit the winery and we found one brewery that was out of most of the food on their menu, we found out later it was their last weekend to be open for the year. Oh, the bikes you ask? Well, we rode them around the entire Island and had a good time just exploring on our own. You don’t have to wait for your anniversary to take a weekend trip. We take a few a year just to unwind from the day to day grind of life and spend some alone time with each other. Last note. Sorry I didn’t blog while we were on the Island. There was no desk in the room and I am not one for typing long posts on the iPad without my trusty keyboard. So I thought I would just wait until now and give you the update. 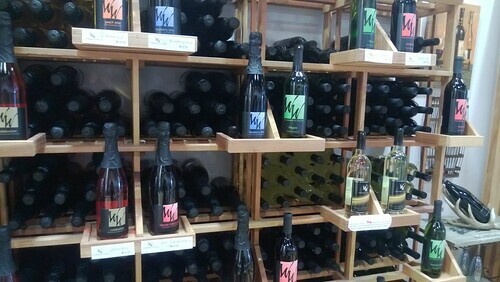 Today we took a ride to visit a local winery store that was recently put into a local shopping plaza. At first I thought from where this store is located that the prices would be out of our range. 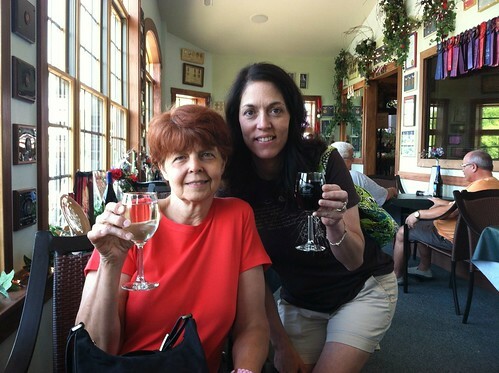 We were pleased to learn that the prices were on track with many other wineries that we have visited from Virginia to Pa. This is a quick pic I grabbed while in the store. We like to take this trip at least once a year. This is a trip to the Amish country in Sugar Creek Ohio. On the way this year we decided for the first time to pull off at this Winery that we spotted. I have to say this was the best start of any trip to the Amish Country. We had a great time taste testing. 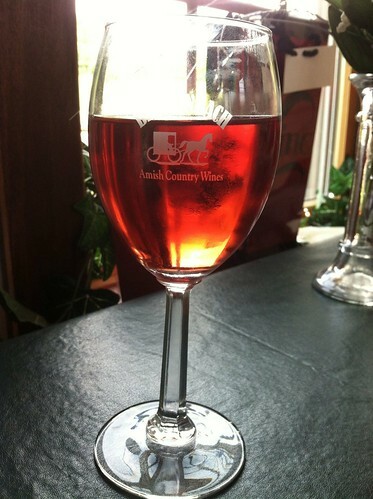 We then sat down with our favorite for a glass before moving on. Pictured here are my sister on the Left window side and my wife on the Right. This is a picture of my glass.